POOR dental hygiene and sugar and acid from drinks and foods traditionally considered treats but given to our kids on a daily basis are resulting in decaying baby teeth being pulled at an alarming rate. With kids, and adults, set to over indulge in chocolate this Easter weekend, van der Walt Dental's Mal Cottle said it's also a timely reminder that sweet treats should be followed by a quality teeth brushing session. 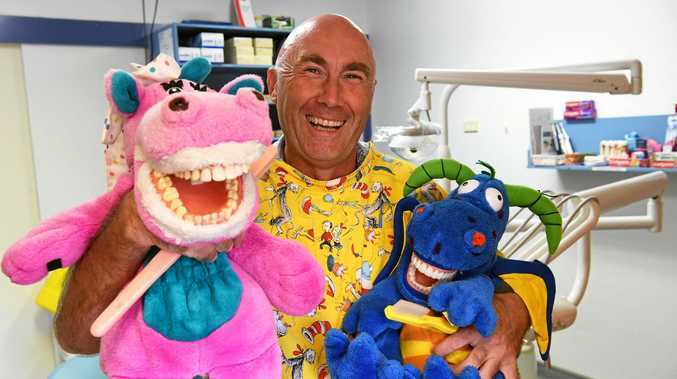 As dental therapist specialising in children's oral health, Mr Cottle is passionate about promoting good dental routines from an early age, but sadly he's pulling out the rotting teeth of Bundaberg children every day. "It upsets me. It's not just the amount of holes, it's the size of holes," he said. "(Extracting kid's teeth) would be a daily issue and it's not because I can't save teeth, I do. Sometimes the infection is so bad you don't have an option. "Today (Thursday) for example I've seen an abscess which I've had to extract, I've seen multiple holes, a gum infection from poor brushing ... these are local kids, and that's just this morning," he said. Figures from the Wide Bay Hospital and Health Service revealed 76 children had baby teeth extracted under general anaesthetic in its operating theatres last year. In 2015 that number was 99, 89 in 2014 and 55 in 2013. 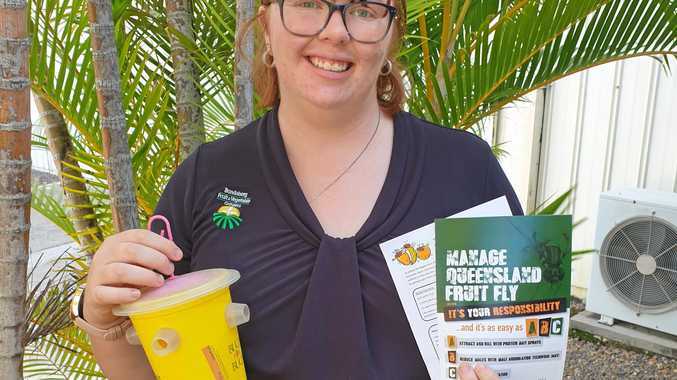 WBHHS oral health general manager Leanne Williams said the data did not include children who had a tooth extracted while in the dental chair at the Bundaberg Oral Health Centre. "It also does not include children who had any teeth removed while at a private dentist," she said. The impact on children from extracting teeth can then lead to a host of issues, both short and long term according to Mr Cottle. "The big thing is socialisation. "Kids are aware when they've lost teeth prematurely. "Bullying is a major issue ... and this can start that," he said. "If they're missing multiple teeth it can affect their speech. "But the clinical thing is space, if you start to remove teeth too early, their teeth start to drift ... so when adult teeth start to come through they grow where they are not supposed to, and then you're up for orthodontics, and that's expensive." WBHHS Bundaberg principal dentist Andrew MacDonald agreed the early loss of baby teeth could have a profound effect on the development of the jaw (facial features), future spacing and orthodontics, the ability to chew fibrous foods (nutrition), speech and self-esteem. "It can also have an effect on the child's ability to develop and establish life-long oral health and hygiene habits," he said. "The service is currently introducing the Lift the Lip Program ... in partnership with the Child Health Nurses, who will be trained to identify basic oral health problems and conditions at children's milestone checks." Mr Cottle said the biggest preventive measures to curb decay was brushing twice a day, flossing once a day and limiting acidic drinks. "I encourage kids to brush at least twice a day but I really like parents to brush their kids' teeth once day, right up to the age of eight." "Sports drinks, soft drinks ... our buying habits and our hydration habits have shifted in the last decade. "Juice is my pet hate. Dentally it's the acid in the fruit juice that has a detrimental effect. "When you drink something you're not stimulating saliva and when they're drinking juice as a thirst quencher ... when their saliva's not flowing freely, the acid just rips at their teeth."